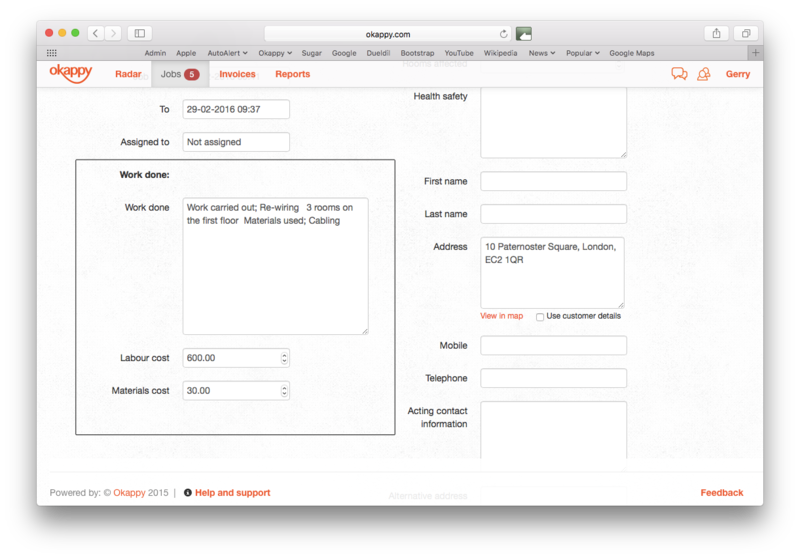 We're always keen to listen to customers suggestions and enhance how the Okappy job management system works. So when one of our customers asked whether we could reduce the number of clicks to see what work has been done on a job from three clicks to one, we jumped at the chance. 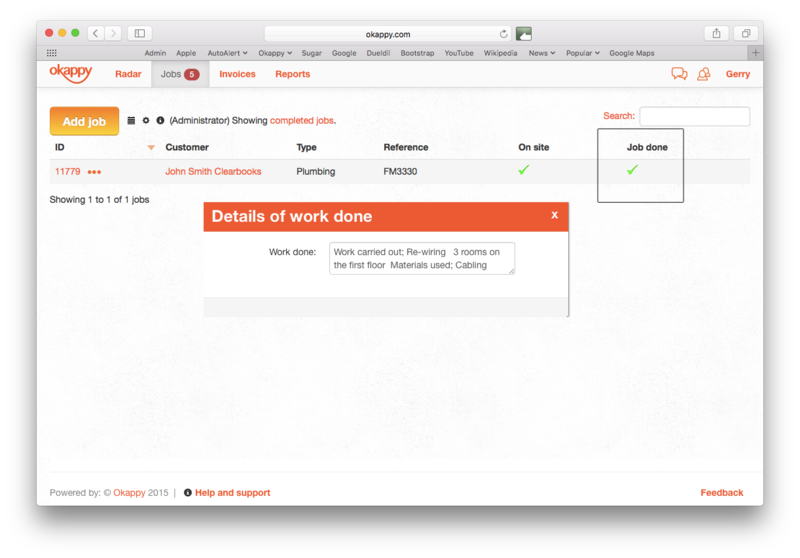 Previously, in order to view the work your engineers have done, you clicked the options icon next to the job id. ( ). You can then click View/Edit/Update job to see your job details and then scroll to the bottom to see the check sheets for that job and what had been done. Although this only takes a three clicks and a fraction of a second, when you have multiple jobs to review then it all adds up. So, following our customer's suggestion we investigated how we could improve the process and are happy to announce that you can now see what was done on your job in as little as one click. 3) by cicking on the job done tick. 1) Click on the job ID to see the whole job including the check sheet. 2) Click on the more icon ( ), then view work done when the job is complete. You can see the details of the work done instantly. 3) Click on the green tick ( ) in Job done column to show the details of the work done for that job. Will we ever reduce it to no clicks? We did look into this and tested whether showing the details of the work done when you hover over the job tick is enough. However, we found that customers like to be able to copy information about what work was done and paste it to other applications, emails or even a text from the system. We therefore think we've reached the best compromise with one click which in the words of one customer is 'Fantastic!'. As always, we're always keen to hear your thoughts and suggestions about what we do well and what we could do better. Sign up for our newsletter to hear all our latest updates or get in touch. Please leave your email to hear all our latest developments. Find out more about Okappy job management.